This extension lets you put your system in sleepless mode. 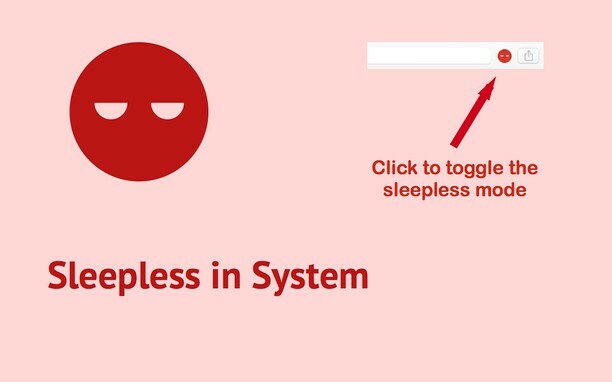 Simply click the icon to turn on the sleepless mode. Click again to turn off. Easy access to Gmail via toolbar-popup UI, plus, get badge notifications.